Gymnastics is a sport for everyone, but competitive gymnastics is far more demanding and is likely a match for only a select few who are willing to strive for excellence. With dedication, hard work, patience, and determination a gymnast can achieve a level of success that is rewarding both mentally and physically. 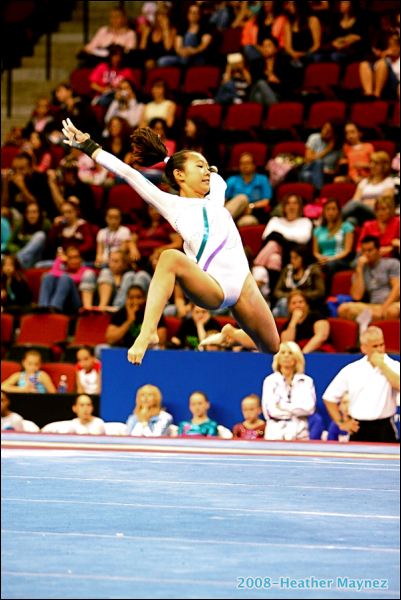 At beginning levels of competitive gymnastics, a gymnast may do well based simply on talent or hard work. As time goes on, the mental and physical challenges become more difficult. A gymnast can never rely simply on the merits of their talent. They must be committed to learn their routines, and then practice those routines continually, both in front of a coach, and during their own time. It is through persistence and disciplined training that a gymnast can reach a high level of success. Competitive gymnastics is not for everyone, but it is very rewarding for those who aspire to challenge themselves.